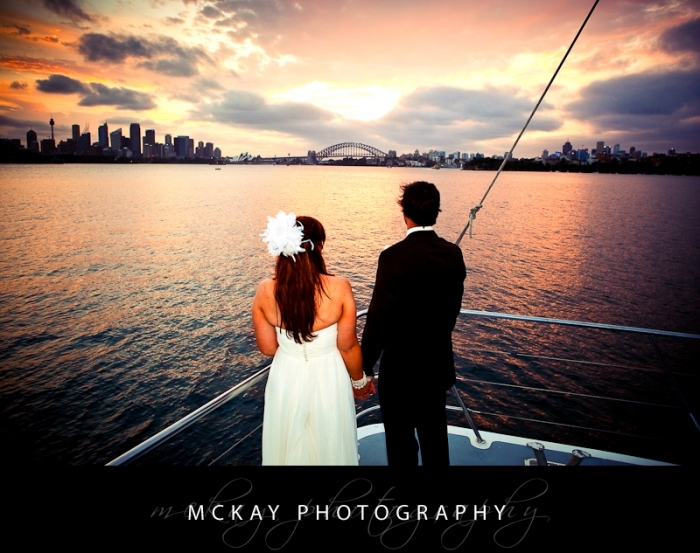 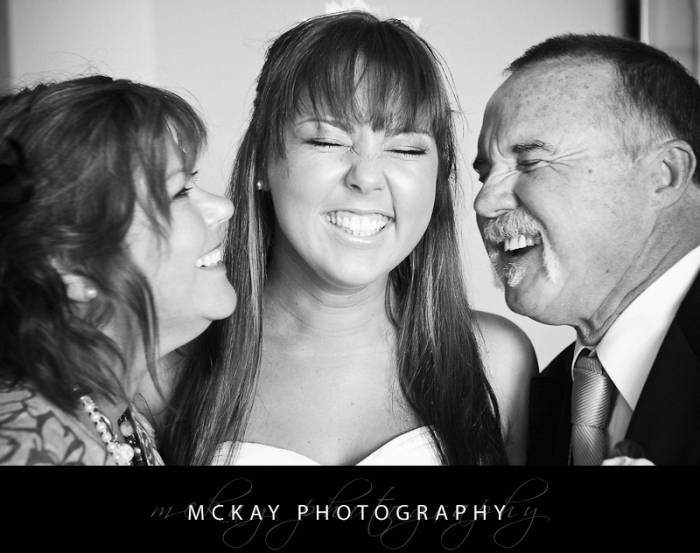 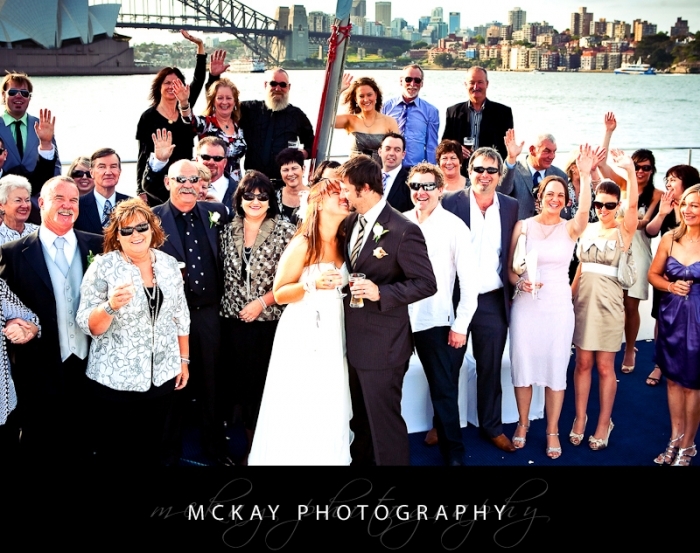 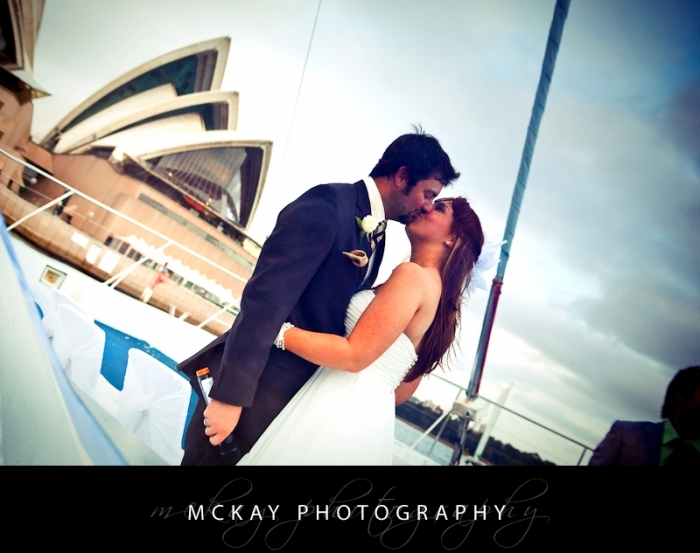 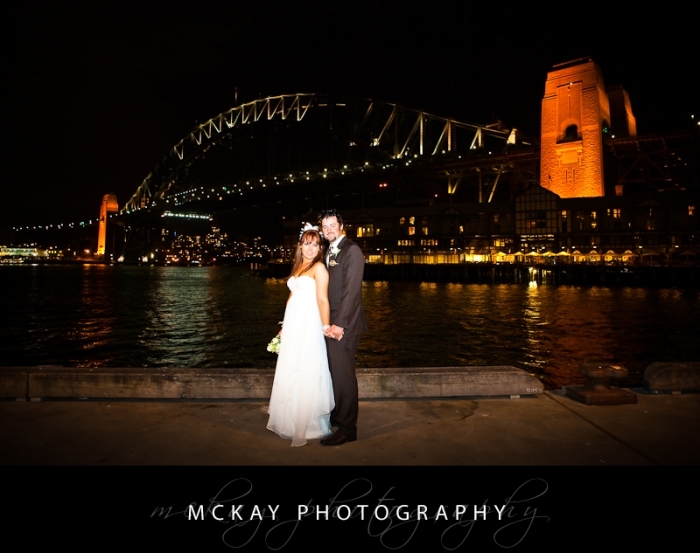 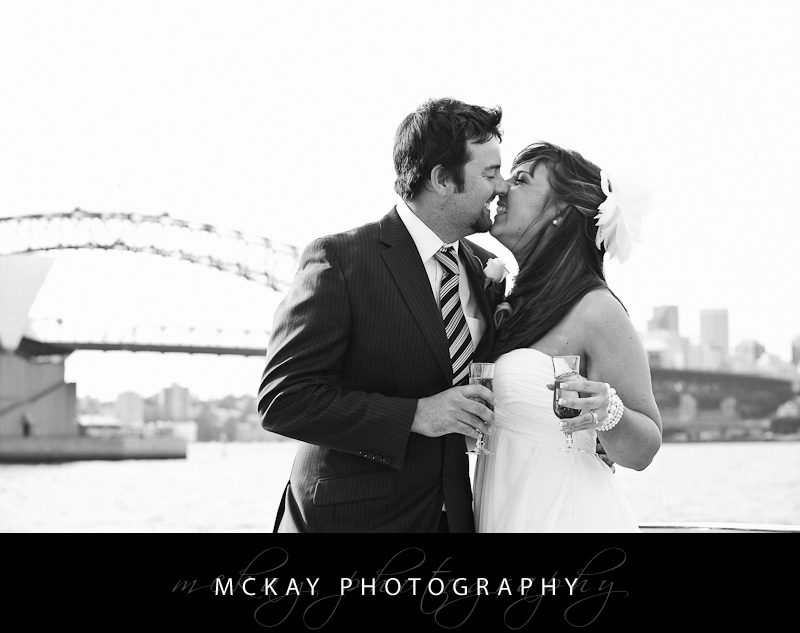 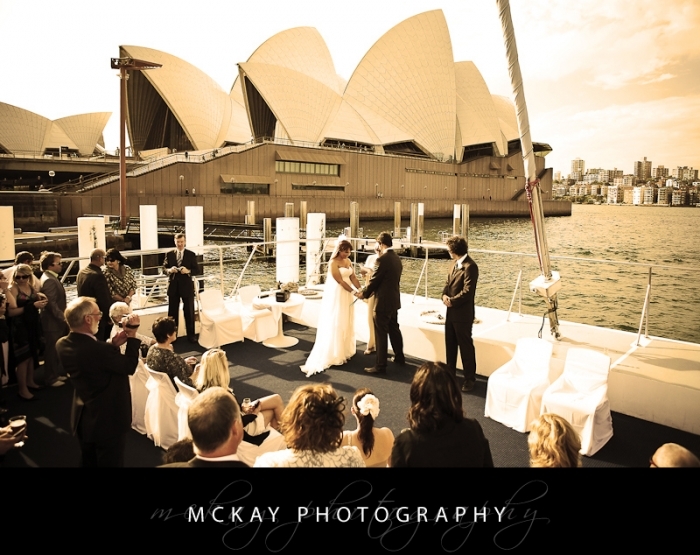 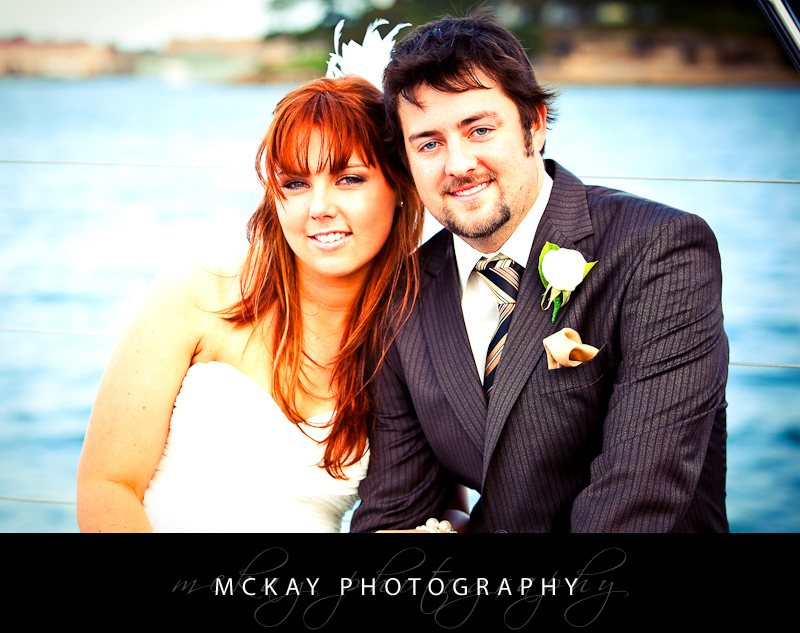 Kim & Sam had a beautiful cruise on Sydney Harbour for their wedding ceremony and reception, and with family and friends from out of town and overseas it was the perfect way to get everyone together and see Sydney at it’s best! 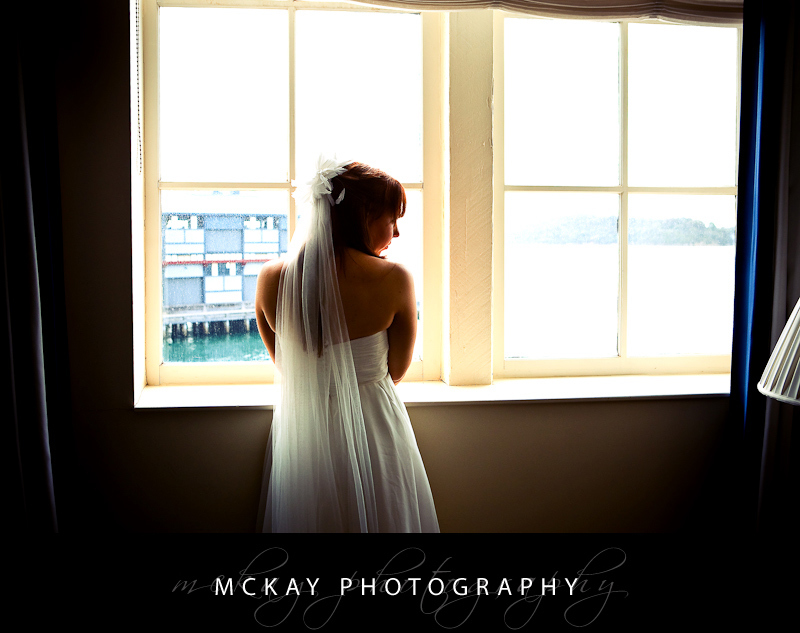 Kim was getting ready at the Sebel Pier One and the shots we got with her veil at the window look amazing! 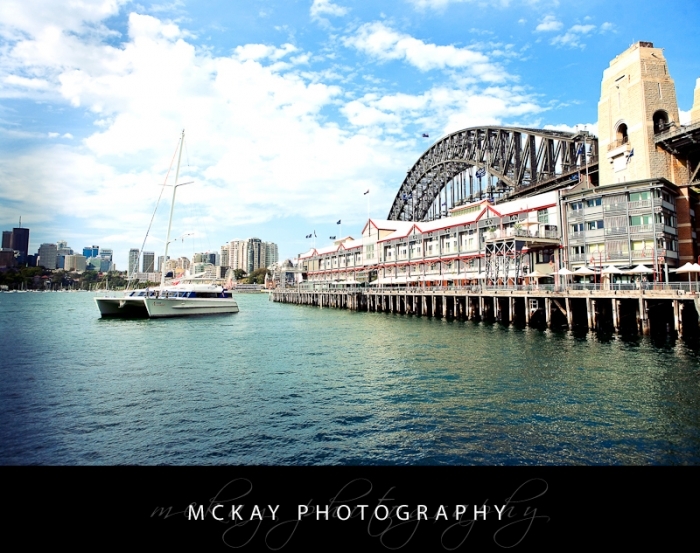 It was then a very short walk to the Walsh Bay wharf and all aboard the Aussie Legend – a Matilda Cruises ship to get some shots of Sam before we picked up everyone else up at the Man of War Steps next to the Opera House. 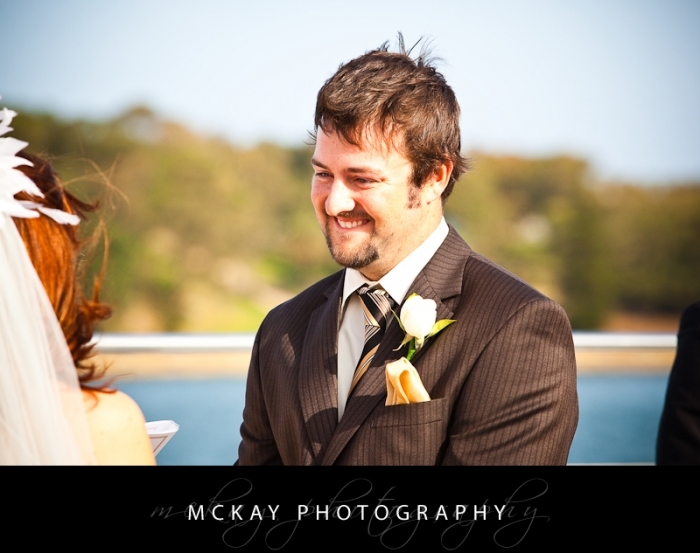 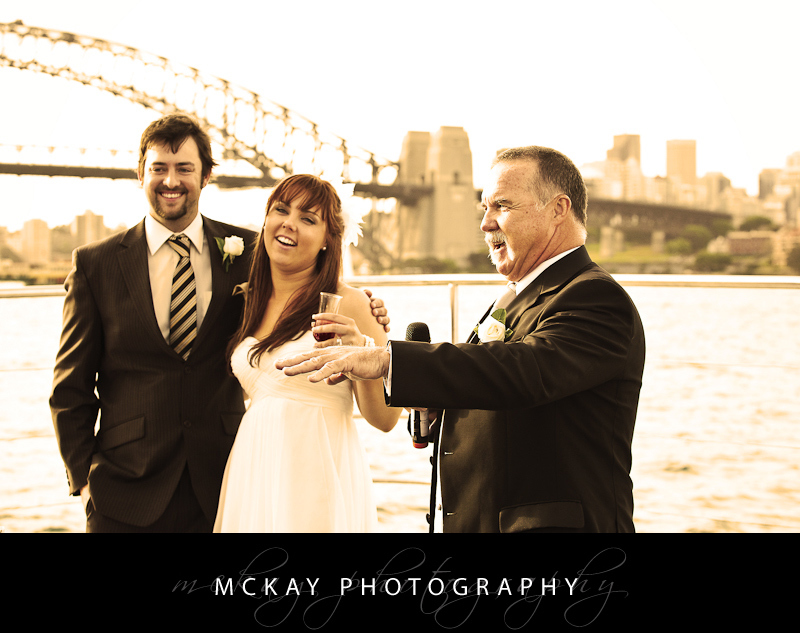 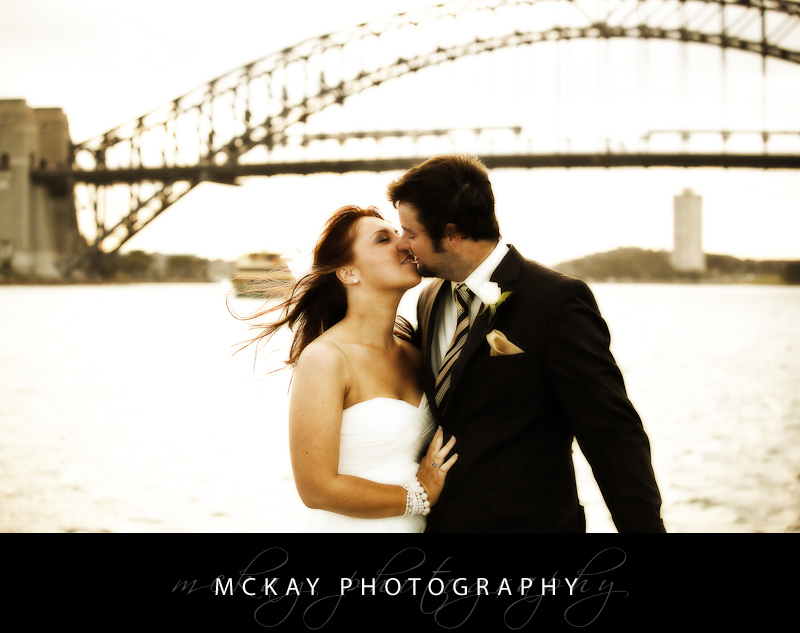 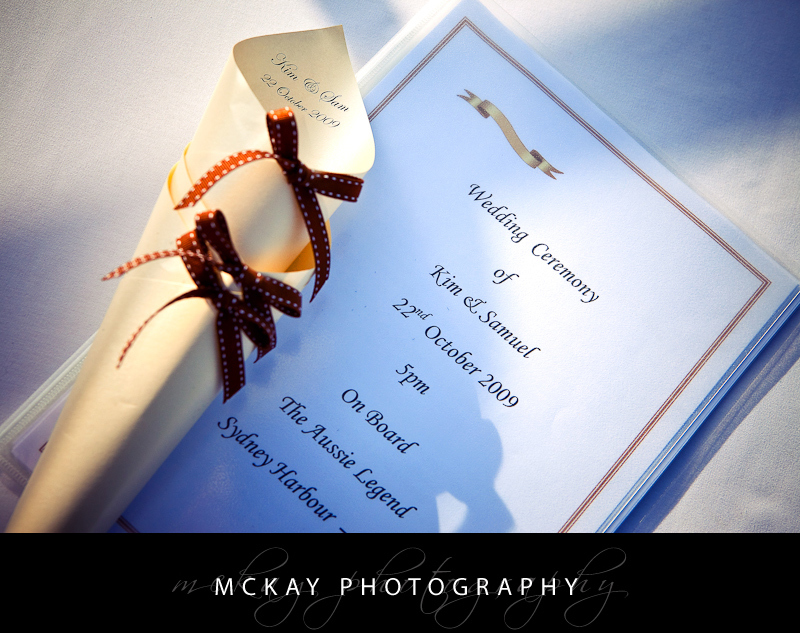 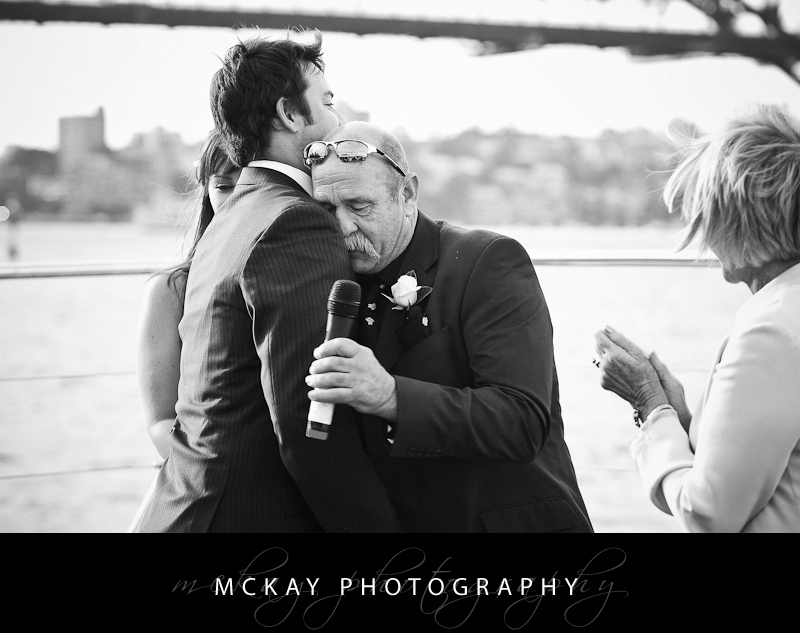 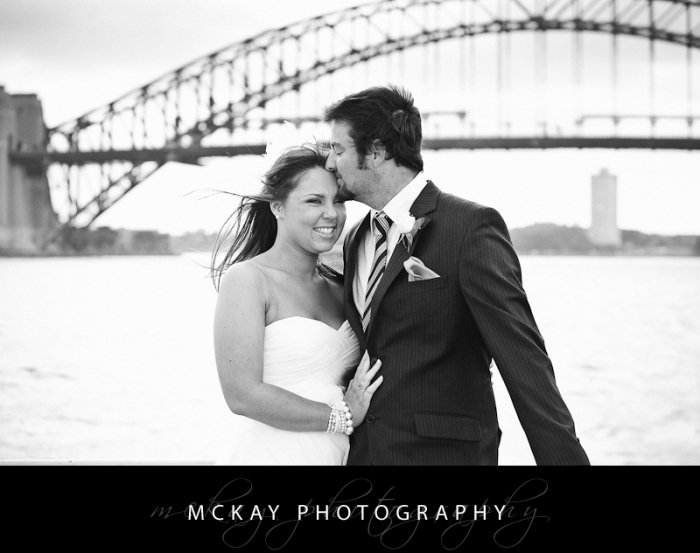 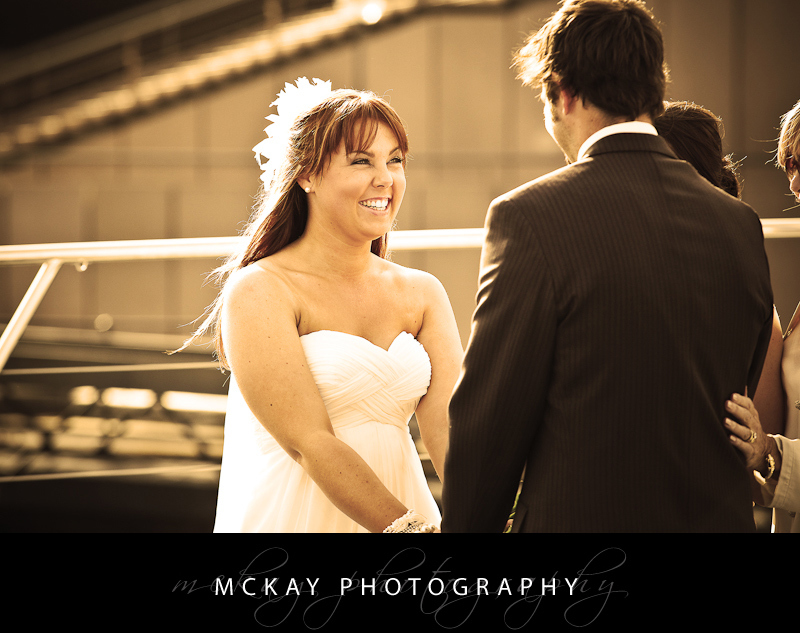 Sam arrived soon after and the ceremony was held in a calm area of water against the spectacular back drop of the Opera House and Harbour Bridge – just perfect! 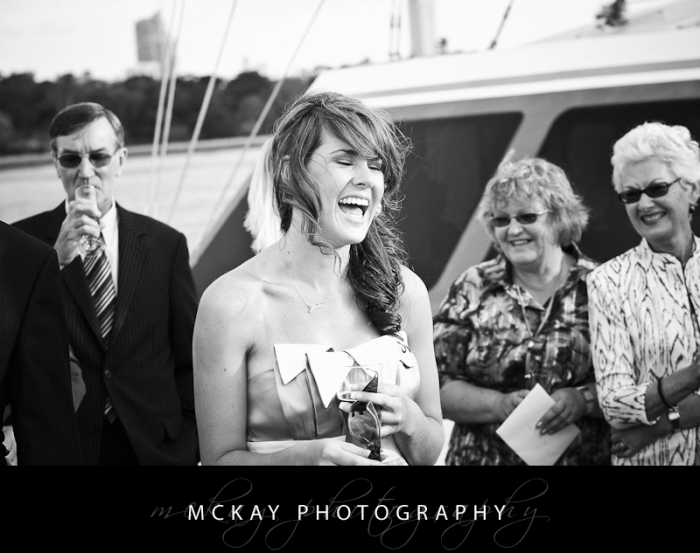 The great thing about this kind of wedding is that everyone is together in one place (it’s a long swim to shore) and so we did family shots, had speeches and then shots with Kim & Sam all while cruising around the Habour! 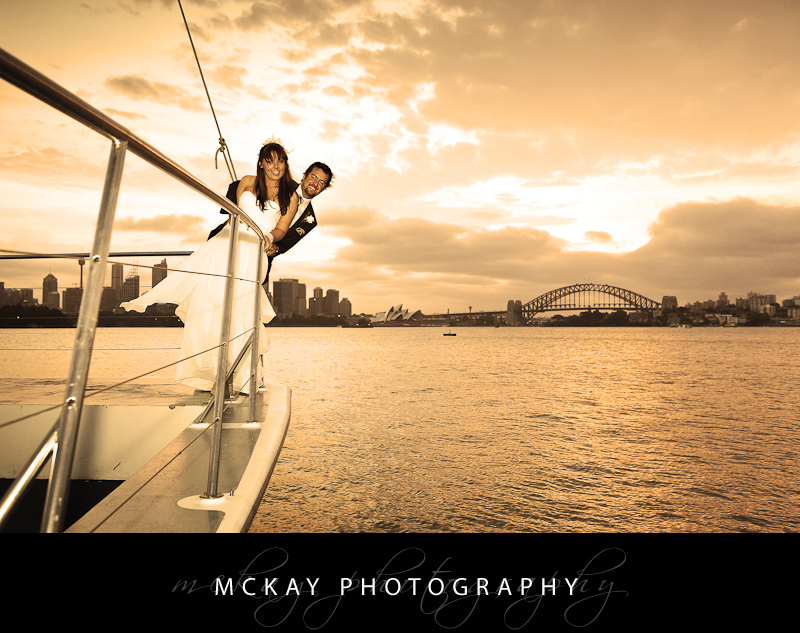 We got some great shots under the Bridge and then were treated to a lovely sunset while moored near Bradley’s Head. We ended up back at Walsh Bay and had time for some great night shots with the Harbour Bridge. 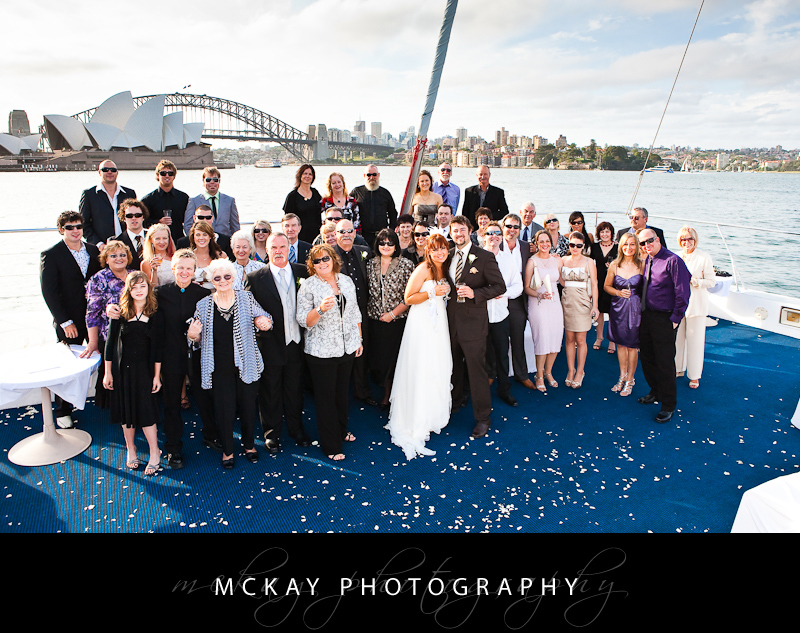 It was a great day with a fun group of people and I felt just like one of the family! Congrats to Kim & Sam and and many thanks to Kim’s mum Judy and Sam’s mum Louise for everything leading up the day! 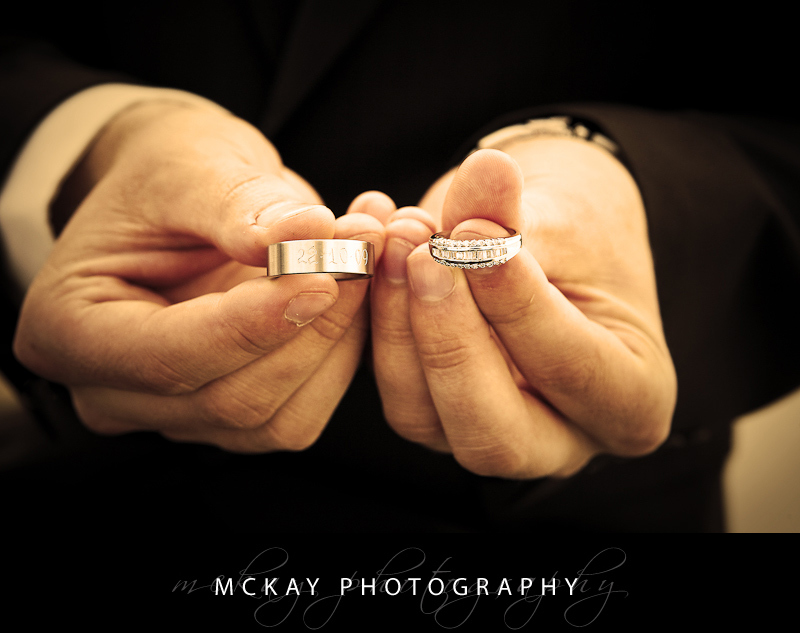 by Darryn McKay at October 30, 2009 .